We seek to provide an education based upon Biblical principles. It is our belief that the Bible is the divinely inspired Word of God and that salvation is by faith alone in Jesus Christ who as God in the flesh, came to die, to be buried, and rise again for our sins. (John 3:16) It is our desire to provide the best Christian education and training for all children, for God is not a respecter of persons. 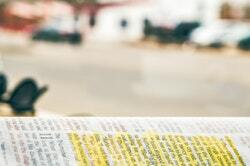 Our desire at Grace Christian School is to equip students to pursue spiritual maturity through a right understanding of the gospel of Jesus Christ as presented in the inerrant Word of God. We believe that we are more sinful and flawed than we ever dared believe. BUT that IN CHRIST, we are more accepted and loved than we ever dared hope. Only as we wrap our minds and hearts around the promises of Scripture can we truly live in obedience to the commands of Scripture. So our aim is to help our students understand who they are IN CHRIST and how that shapes who they are in the world. It is also our desire to come alongside parents in what they are already doing to disciple and nurture the faith of their children. “Two combined influences are better than just two influences.” So, our aim is to keep parents informed as to what is being discussed in chapel and how they can follow up on those discussions at home. We will do that through weekly blog posts. We will also host parent seminars to encourage and equip parents. We want to impact students Christian lives so that they are equipped to impact the lives of other students. We will have lots of student leadership opportunities such as student worship teams, student testimonies, behind the scenes chapel planning and producing, class led chapels, etc. In many ways, students best reach students and we want to provide environments and opportunities for that to take place. All classes at GCS are taught by Christian teachers who readily seek to integrate the Word of God into the Subject matter and hand. Students are encouraged to moral living by following the Word of God. We believe in traditional education and seek to encourage patriotism and civic duty as well. Grace Christian School seeks to provide many opportunities for students to live out their faith. Community projects, mission trips, leadership trips and chapel are just some of the avenues we provide for students. “You, my brothers and sisters, were called to be free. But do not use your freedom to indulge the flesh; rather, serve one another humbly in love.” At Grace Christian School, we seek to serve the Lord by serving our community and the worls anyway He calls us to. 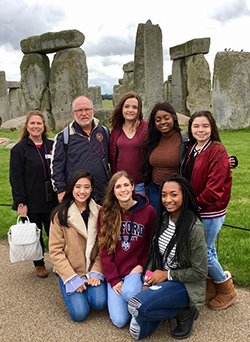 Grace Christian Students have the opportunity participate in seven to nine-day international study-abroad conferences with Global Next LLC. "Global Next is a research group and leadership institute. Global Next hosts high quality educational/leadership conferences in unique locations around the world that are open to select high school and college students as well as qualified adults. While we are not a travel company, Global Next does provide tours and site visits for each conference that support the educational/leadership purposes of each conference. The purpose of Global Next is to collect unique research and insights from around the world and to use that information in domestic educational conferences and international accelerated study-abroad conferences. Global Next focuses on issues of interpersonal relationships, communication skills, leadership development, trends, cultural shifts and geo-political shifts. Global Next’s Leadership Institute provides students and adults with opportunities for international travel, practical leadership training, networking and cultural growth. Our purpose is to allow students to see the world in context, to understand the needs of the world and to prepare for leadership roles and a life of purpose." Chapel is the most important weekly event here at Grace Christian School. Elementary students have chapel every Wednesday. Students participate in singing and enjoy special speakers each week. 6-12 grade students meet for chapel twice per week (Tuesday ad Thursday morning). Middle and high school chapel starts with student led praise and worship and segues into preaching by a teacher or the pastor. Students are highly encouraged to sing, testify and even preach in chapel if led of the Lord.